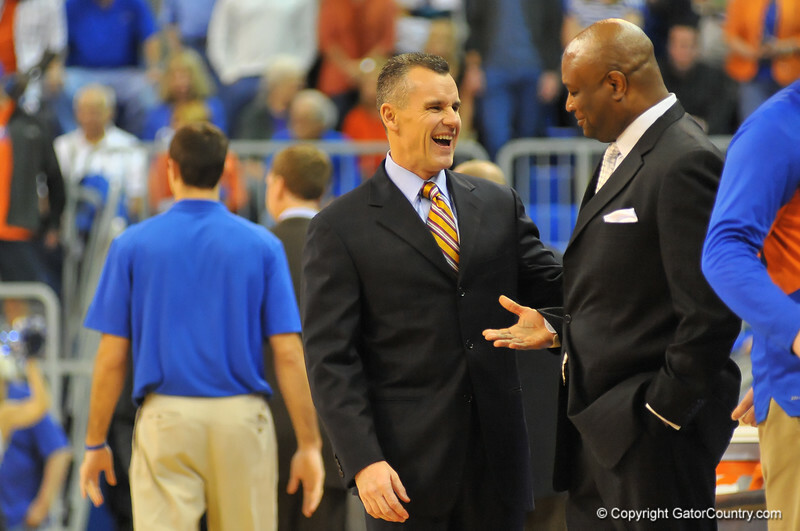 Florida head coach Billy Donovan and Florida State head coach Leonard Hamilton meet at midcourt before the start of the game. Florida Gators vs Florida State Seminoles. Gainesville, FL. November 29, 2013.